* 2015 ** Toyota * * Tacoma * * PreRunner * For a top driving experience, check out this 2015 Toyota Tacoma PreRunner with a Bluetooth, braking assist, stability control, traction control, a MP3 player, anti-lock brakes, dual airbags, side air bag system, digital display, and airbag deactivation. For a good-looking vehicle from the inside out, this car features a dazzling white exterior along with a graphite interior. With a 4-star crash test rating, this is one of the safest vehicles you can buy. Make your move before it's too late schedule a test drive today! 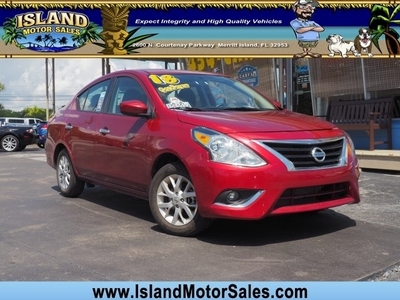 Expect Integrity at Island Motor Sales. Our philosophy is to treat our customers with respect in a friendly laid back environment. Call today for a pre-approval. We are centrally located in Merritt Island, Fl. Just minutes from Orlando, Daytona, and Melbourne on North Courtenay Parkway and 528, next to the RaceTrac gas station. We are open 7 days a week. (321) 454-CARS.